It is gratifying to see the “ECO Tourist Guide Book” finalized and published. It represents a landmark achievement for increasing awareness of tourism potentials within the ECO region and highlights the region as one the world’s richest in terms of historical and cultural heritage that launched several great civilizations and has influenced the course of the world history to this day. The region echoes memories of the ancient “Silk Road” in its numerous historical sites, spectacular nature, unique culture of hospitality and cultural affinity. Tourism, apart from being an important source of income, contributing to the development of service industries in the respective countries, also enhances regional and global understanding and cultural awareness and as a sector has received due attention by the ECO Member States and the Secretariat in the recent years. “ECO Tourist Guide Book” is yet a further step in this direction. ECO Secretariat, based on a proposal by ECO EGM on Tourism initiated consultations with ECO Cultural Institute for the preparation of a guide book on tourist attractions within the region. The efforts and collaboration of the two organizations in compiling material provided by Member States bore fruit in this colorful and informative presentation. 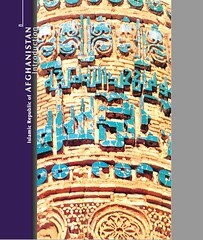 I wish to express appreciation and thanks to the ECO staff and the ECO Cultural Institute for their efforts in the preparation of this publication as well as the Iran Cultural Heritage, Handicrafts, and Tourism Organization (ICHTO) for their contribution towards the publication of the guide book.